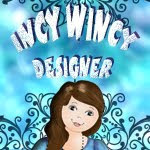 Please leave a comment on EACH of the blogs as you hop along!!! 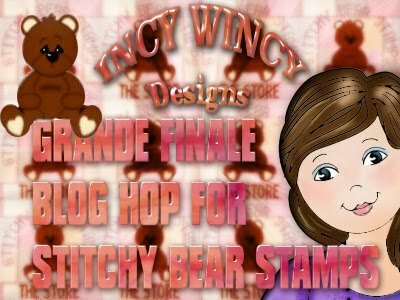 The GRANDE PRIZE will be ..... 8 images from Stitchy Bear Stamps – ONE from EACH artist! THAT is a SWEET prize!!!! There might also be RANDOM BLOG CANDY on some of the blogs so be sure to look closely!!!!! This winner will be chosen from all the correct answers randomly! Also, if you wouldn't mind, spread the love, become a follower of their blogs and pass on the blog hop info. to other bloggers!! The more the merrier!!!!! Add us to your blog roll, or post about our hop on your blogs, in forums, anywhere!!!! We'd love to have a record number of visitors this week!!!! My number for you to collect is 1. You should have arrived here from Tammy's blog. If not, please start at the beginning so you can collect all of the numbers to add up!!!! Please head to Clare's blog to check it out and collect your next number!!!! Here is the image pack you can win from my blog by leaving a comment. Hey Greg, great to see a guy on the team, looks like some cute candy you've got always love to win. I'm following and hopping. Hi Greg, yeah it is rather refreshing seeing a male on the team lol..I wanted to do the hop and personally thank everyone for a great 6 week span...it's been really awesome, thank you so much!!! Hi, Greg. So glad to see a man in this creative group. I love the image on your card---I love the card, too. Thanks for this great blog hop. Fantastic blog hop. I had to look twice. Greg? Man? YAY YOU!!!!! Greg, its nice to know that men also like making cards. I better get hopping over to Clare's blog. You are so awesome! I do not suppose I've read something like this before. So great to discover somebody with genuine thoughts on this topic. Seriously.. thank you for starting this up. This web site is something that is needed on the web, someone with some originality! These are the current projects we are working on at Aspire To Thrive Please click on each one to view them!